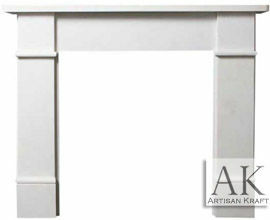 Artisan Kraft Modern Mantel Collection features contemporary style surround facings. 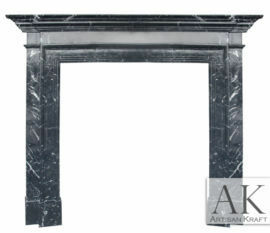 White & Black Fireplaces in the Bolection style. 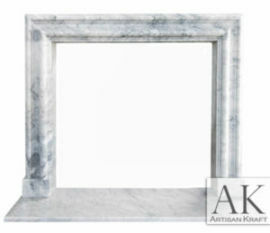 Stock modern marble fireplace on SALE!! 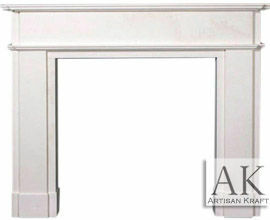 Modern Fireplace Mantels are the best selling models right now. We here at Artisan Kraft pride ourselves on our contemporary collection. 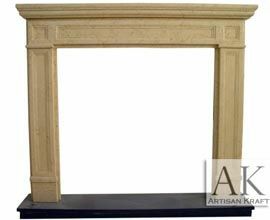 Above you can view our beautiful collection of modern mantel facings. A lot of these facings are in stock and on sale. 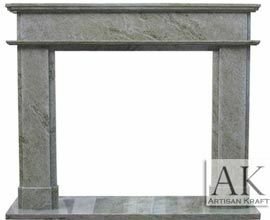 Visit the marble mantel sale page to view our products that are ready to ship in 1-3 weeks. Artisan Kraft’s sale items sell quickly. Modern fireplaces are defined by their simplicity. The perfectly as semblance of straight lines, steps in in the rare occasion curves. Our Bolection series has the bull-nosed curve that wraps the inside of the frame. You can see serval options of the Bolection surround in white, black, and green marbles. The Deco is a great example of a step design. 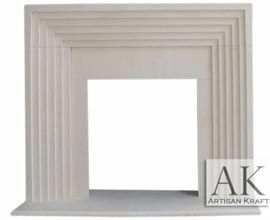 It is pictured above in made from limestone. 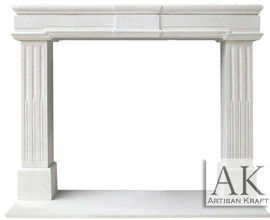 All of our models can be custom made to your dimensions and with the stone of your choice. 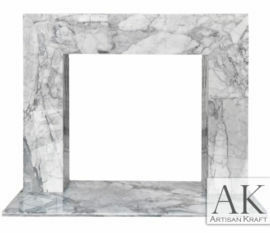 These are made from various materials such as limestone and marble. 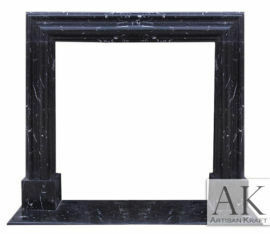 Any of the above surrounds can be made from cast stone, travertine or marble. 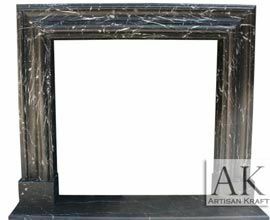 Los Angeles Fireplace pictured in Nero Black marble is a transitional surround that is part of our Black Label Collection. 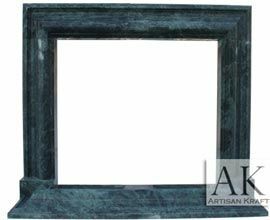 Artisan Kraft’s Black Label Collection is a finely curated as semblance of the best fireplace mantels made from the highest end materials. 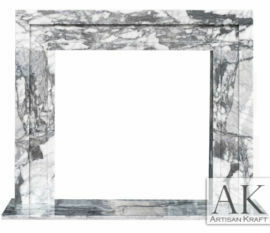 This includes Italian Arabescato, Black Nero, Exotic Arabescato, Greek Volakes, and Italian Carrara. We offer the highest quality in our hand carved craftsmanship of all of our products. Installation is offered in the Chicago-Land area and other States like New York, Virginia, Florida and Connecticut. Make sure to visit our showroom in Chicago where you can view cast stone kitchen range hoods, travertine sinks, marble kitchen sinks and marble bathtubs. We now also offer a large selection of copper bathtubs and copper sinks. You can also call our Los Angeles office or email us for more details about any of our products. 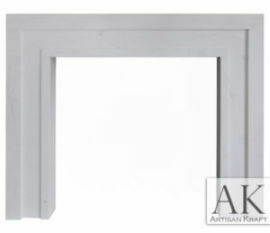 May of our customers fly in from out of state for an appointment in our mantel facing showroom.